If you are looking to make your business more profitable, there are three main ways to improve- labor costs, time spent on the job, and equipment acquisition and repair. One way to improve each of these areas is with a hydraulic breaker or hammer. For construction companies, these tools are game changers. Here is how each category is improved by owning a hydraulic hammer. 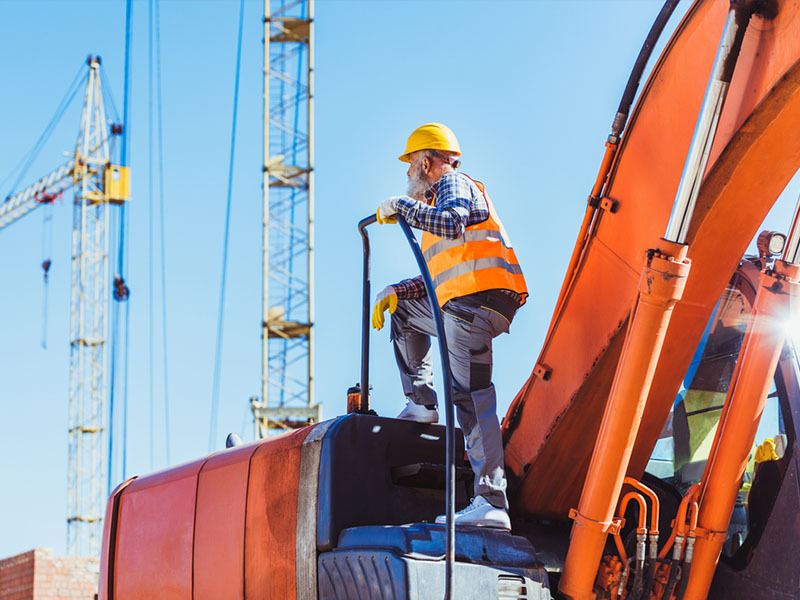 Demolition, digging, and mining jobs are just a few examples of construction jobs that a hydraulic hammer can help improve. If your company is doing one of these jobs without a hydraulic hammer tool, workers are required to exert a lot of effort and the work doesn’t move quickly. To get a job done fast, it requires a lot of power, whether that is from a lot of workers or a machine, like a hydraulic hammer. For example, on an excavation job, using shovels to dig, bars and jackhammers to loosen the dirt, and even a high-powered auger can help dig the hole. Each must be powered or operated by a paid worker though and take hours. Bringing in a hydraulic hammer for excavators that can be operated by one worker in the driver’s seat and maybe one or two more to help direct and monitor the job. The power and speed behind the hammer in just the small class hammers will be the equivalent of four jackhammers. This reduces the number of workers required to get a job done, increasing your profitability. Closely related to labor costs is the time required to get a job done. As all business owners know, time equals money since labor costs increase every hour the job continues. If a job takes less time, the company not only saves labor costs but also can fit in more jobs. Saving time means increasing profitability. Hydraulic hammers can save time on jobs because people just don’t move as fast or have the power that a hydraulic hammer can provide. A large class hammer doesn’t hit as fast as a small class hammer, but it delivers a more powerful blow, bringing down structures, breaking through rock or massive concrete slabs, and creating a tunnel for a trenching project in less time. If you want to schedule more jobs and save time, buying a hydraulic hammer is the best path to increasing profitability. Having functioning equipment is essential in construction. If you don’t have the right tools for the jobs, it can slow you down, costing time and money. Another aspect of equipment is making sure that the right tools are used for the right job. Using a tool improperly can cause it to break and cost money to repair or replace it. This cuts into profits and takes time away from the job, slowing down progress. Hydraulic hammer attachments are durable and easy to use, meaning they don’t need to be replaced as often as other tools. For many companies worried about costs, buying a medium class hammer is a good middle ground for most jobs, saving more money on equipment costs. Growing a successful business means being profitable. Examining the ways your company can improve in labor, costs, and equipment is a great starting point. Consider how adding a hydraulic hammer to your arsenal of tools can help your business thrive.